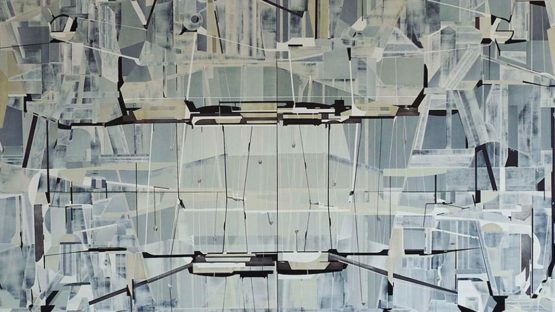 James Kennedy is an Irish painter, best known his distinctive abstract landscapes which explore the connection between space and tonality. Born in County Down, Northern Ireland, Kennedy was educated throughout the UK, receiving two BA degrees – one from Royal Scottish Academy in Fine Arts, and the other from Rhodec Academy in Interior and Architectural Design. In 2003, Kennedy moved to New York. Along with ceramist Bob Bachler, he established Surface Library Atelier. He also won several awards in 2014, James Bridie Gold Medal is one of them. The main subject in Kennedy’s paintings is space. 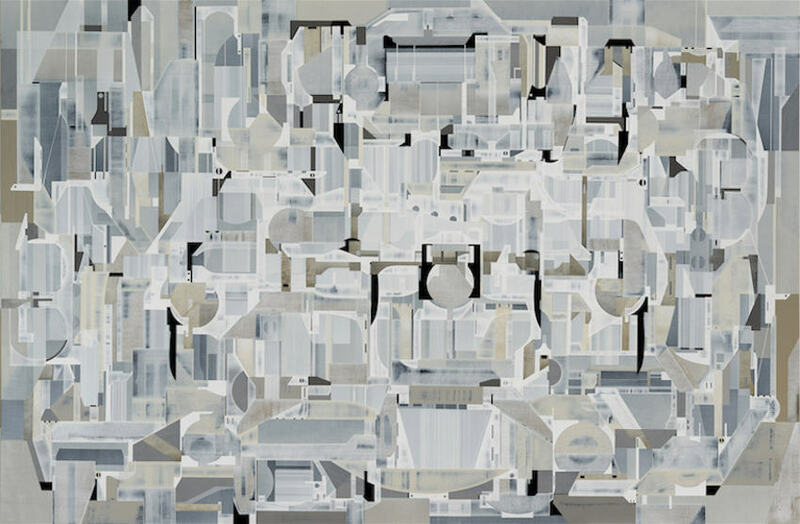 Drawing from his training in modern art, architecture and dance, and employing intricate systems of colors, tonality, forms, dots and incised lines, he thoroughly explores the potential of space and spatial interactions. His approach is intuitive, never premeditated. The forms are rather elusive, never fusing into a concrete, specific picture. Most of Kennedy’s earlier work is based on various abstract forms of landscape, but since 2007, he has begun drawing inspiration for his work from the British post cubists, abstract expressionist artists and Bauhaus painters. His paintings became more intuitive and textural, where he used deeper layers of media, primarily acrylic and oils. 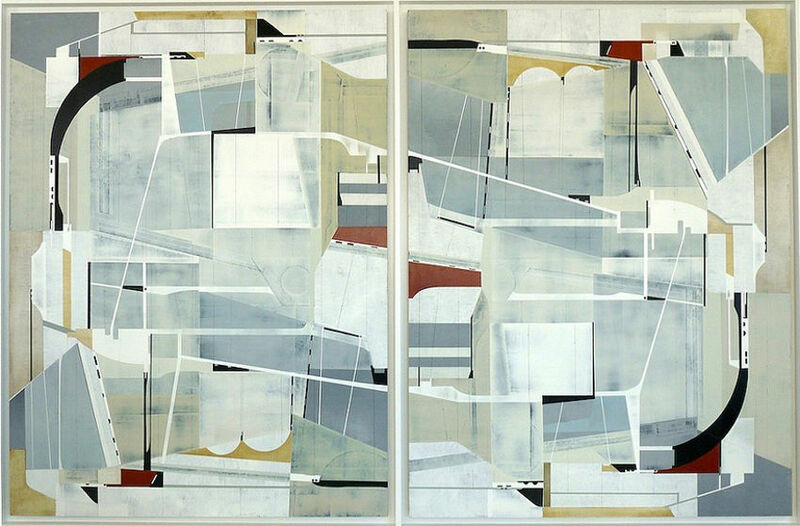 This yielded two of his series: Spatial and the more recent Architectures and Choreographies. As he moved his studio to New York City in 2010, Kennedy’s recognizable style grew only stronger and more distinctive. He switched entirely to acrylics and began exploring color field more profoundly. 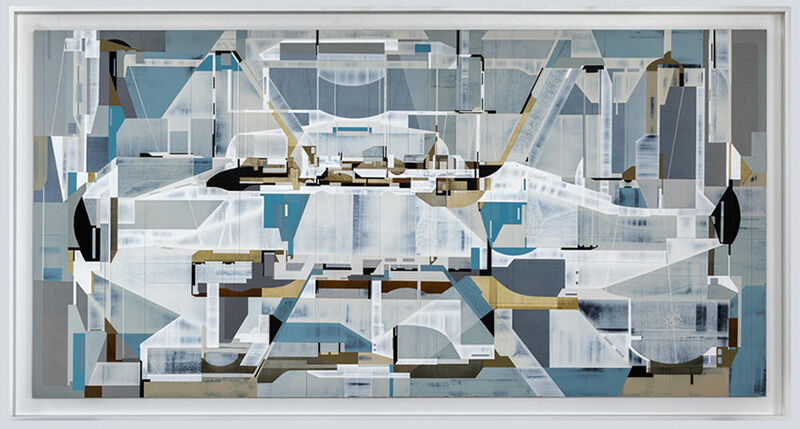 In spite of the seemingly complex and convoluted forms and structures (his paintings are often confused with collage), Kennedy’s goal is to ultimately present his paintings as unified and balanced. Kennedy has exhibited his work extensively throughout the United States. Some of his more notable exhibitions were Constructions + Compositions at the Miami’s Mindy Solomon Gallery in 2012, Morphosis in 2014 at the same venue, and C O N T I N U U M at the Dolby Chadwick Gallery in San Francisco. The artist is represented by Dolby Chadwick Gallery. James Kennedy lives in New York, where he creates from his studio in Long Island City.